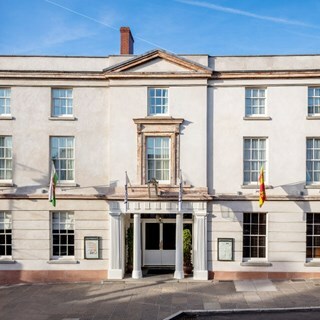 The Angel Hotel is an AA Four Silver Star hotel located in Abergavenny town centre. The Angel has been named AA Hotel of The Year, Wales 2016/17. 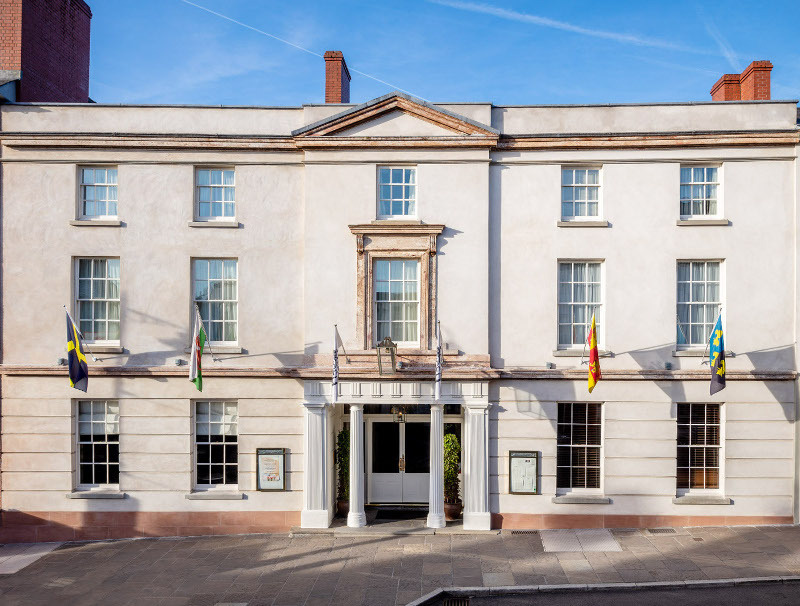 Built in 1829 as a coaching inn, this traditional hotel, decorated with contemporary artworks, is a one-minute walk from Abergavenny Castle and Museum, and an eight-minute walk from Linda Vista Gardens. 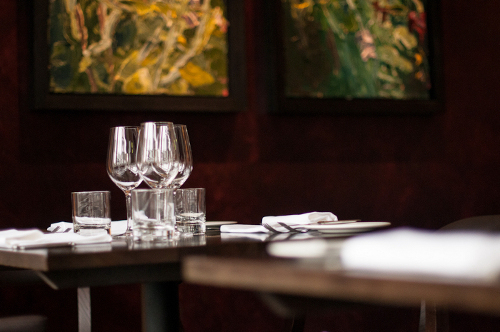 Enjoy an informal lunch or evening meal in our Oak Room, where we offer three courses for £32.00 or choose from our à la carte menu. 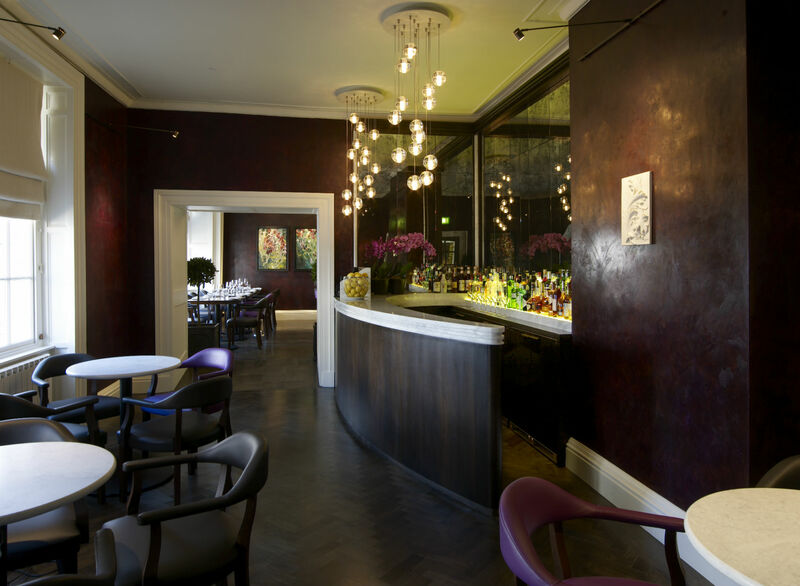 Snacks are served all day in our Foxhunter bar, however, reservations are not taken for the bar area. One of the best vegetarian/vegan menus I have come across. So much to choose from and all imaginative. Our food was well presented and delicious and the service was really excellent. We had a great evening and would thoroughly recommend it. Beautiful hotel and food and service excellent. We were married at the venue last year and came back to celebrate our first anniversary. The standards are very high and attention to detail superb. Staff are excellent and the food is sublime. Not a lot to say except SUPERB .. The food is very good but the portions for the main course are too large. Delicious food (we had the Korean pork and the Ribeye steak). Restaurant wasn't busy however we were sat next to another couple... would have preferred to be spread out a little. Great service. very attentive. Would definitely recommend. Always an absolute delight to visit the Angel. Sunday lunch was stunning and the service impeccable! Can not wait to go again! Highly recommend . We often use the angle as a birthday venue with family and friends and it always has come up to expectations . Food was lovely any one who had the haddock and chips were delighted with the quality and the cooking of the fish.My friend had the steak which was tasty but a very very small portion,pity the vegetables were extra cauliflower cheese £4.50 a portion.The wine was very Good.The service in the testaurant was first class .Our party of nine thought the prices were a bit high for a lunch time. Lovely Food and Amazing Service Highly Recommend. The Angel has been brought back to become the centre of the town again and the investment in each part of the hotel is clear to see. 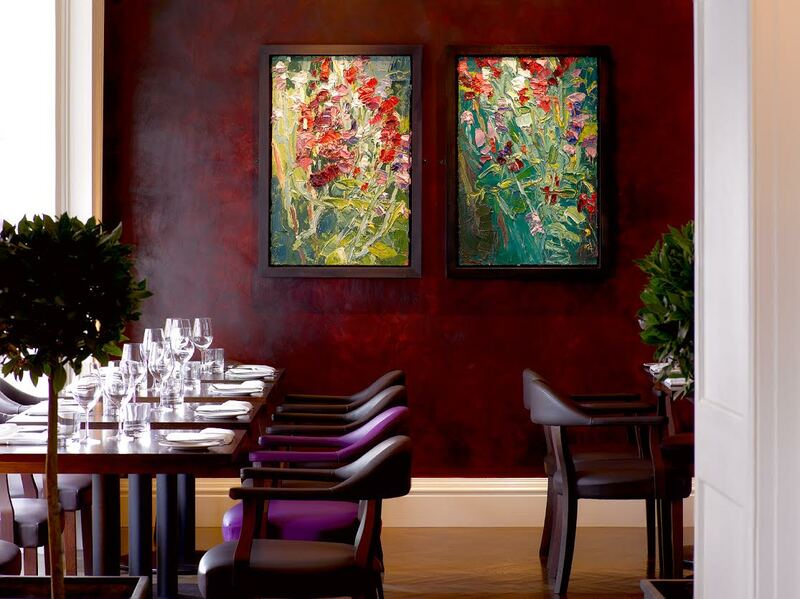 The Oak room has a traditional restaurant feel with good service and high quality food. Offering an excellent variety of meals including separate gluten free and vegetarian menus. Great venue with great food and marvellous service. I’m glad I live near Abergavenny. Food and service were exceptional. Every course tasted great and was cooked to perfection. Best steak I’ve ever had! It was a birthday treat for my sister. The Angel had been on her bucket list and she was not disappointed. I have eaten with you many times and will return asap.